Sharmuk: I think it was Ford Seaway, i entered a colouring competition there when they introduced the Ford Sierra in 1982. It was Seaway Medway. They later became Dagenham Motors. 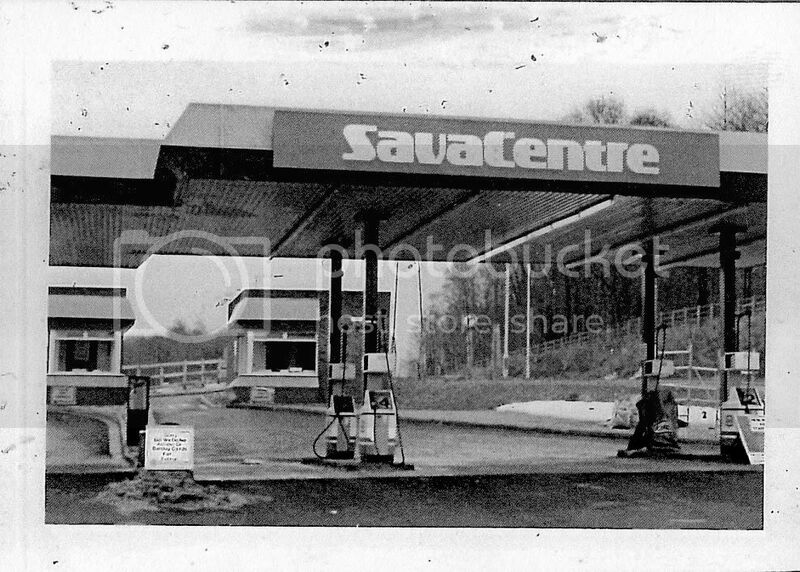 I think it would have closed (before becoming at McD's/Travel Agents) around 1987 as whenever we went to Savacentre, I always wandered around the Ford Dealers rather than go shopping! The latest brochure I have in my collection with a Seaway Dealer Stamp was from 1986. There still exists a Whitegate Woods, a narrow strip running between Hempstead Valley Drive and Birch Grove. Nice to know where the name came from! Here's another of the centre under construction around 1978. Great photos! I actually applied for a job at the Savacentre before it was even finished. I was interviewed in a mobile office on the building site. I never actually worked there though. I can confirm its Sainsbury/BHS origins - BHS clothing was sold there under the BHS label. They used to have a black and yellow logo on their clothing label with "Prova" (or something like that) on it. it was known to children as White Gate Woods. That's as I remember it too. I was also a member of St. Matthew's youth club and was friends with Mark & Harald. Perhaps I know you...? 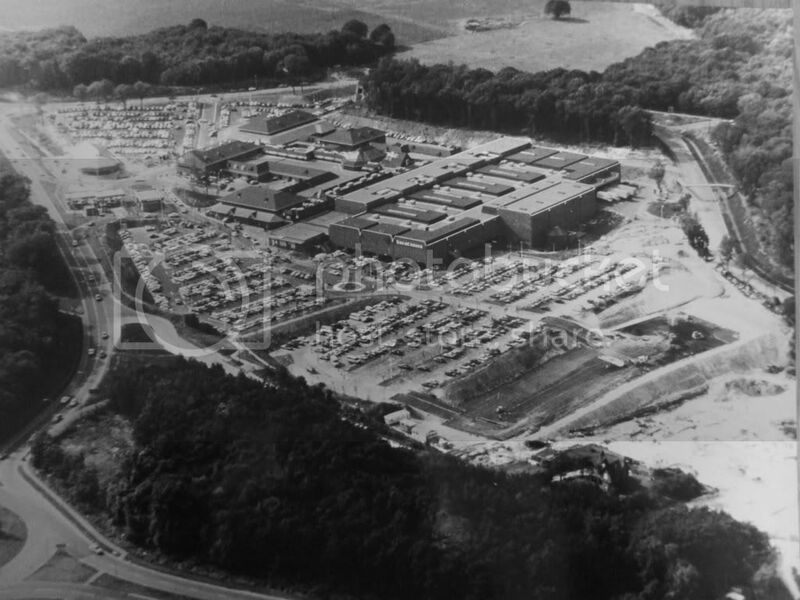 Here's an old aerial photo of the shopping centre from about 1980. Spekes Road (Kingsdown Close) is accessible from Sharsted Way and still only runs as far as Kingsdown Farm. Spekes Road (Lambs Frith Grove) has been cut off on the other side but I remember this used to be accessible from Sharsted Way before The Rise was completed. Other notable differences to today, Chapel Lane on the top right of the picture is still a lane running through the woods, this was soon built over. The Hungry Fox is yet to be built, indeed when I remember Hempstead Valley Drive at this time was only open as far as the Savacentre delivery area. 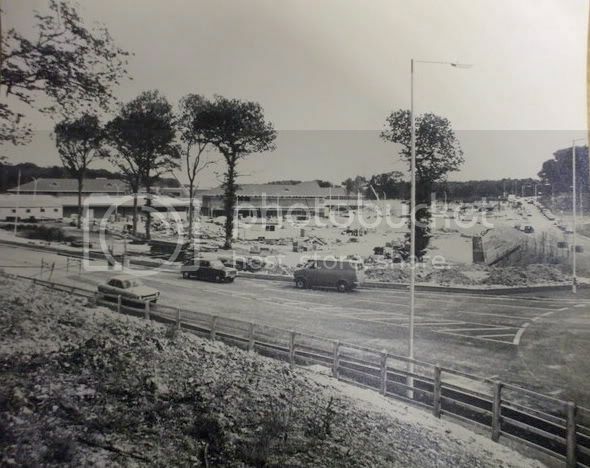 The woods at the bottom were cleared to build Stalham Court and Coppice Court in the mid 1980s, and of course, this picture was taken long before the extension of the shopping centre and Marks and Spencers. Now all I need is to find a similar photograph from a few years earlier. 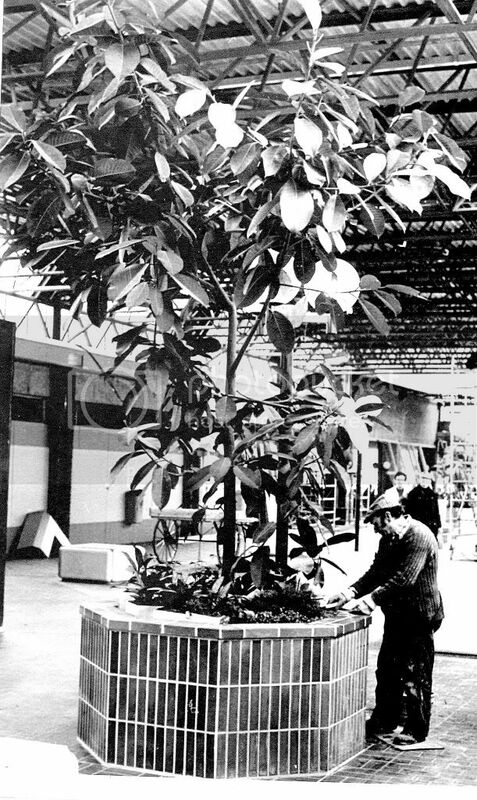 As to the early years of the shopping centre. Memory suggests that the whole project was by a development company part-owned by Sainsbury's and a clothing company who were also the partners in the Savacentre shop itself. I'm not sure if anyone can help me, but I moved to Hempstead in 1979 shortly after the shopping centre was opened. Does anyone recall what the area was like before, or does anyone have any photographs? Woods, as someone mentioned earlier..
but, i lived in wigmore most of my life, when i was aged around 7 or 8, they were called bluebell woods at the time ( i believe now, that bluebell woods are in springvale) before grain road, harty avenue and the rest of wigmore road was built up it was all fields, and only a few houses dotted around, there was a local builder called Skinners who built quite a few of the houses in the area, who was friendly with my dad. if you go along wigmore rd now, there should still be a small lane running of it opposite the housing estate, called houghton avenue, in the early days you could walk down here, as a wooded path which led to a pig farm owned by a Jim Jeevus, he was a bit mad apparently and his pigs used to run all over Bluebell woods, and you would often see him chasing them through the trees. if you went to the bottom of wigmore rd, by the prefabs adjoing fairview avenue, there was a bumpy lane which led to a few old houses and some more fields, to the side of the fields was a small track /path which went from one side of wigmore over to hempstead. the link road hadnt been heard of at this time, it was from this small lane up to houghton avenue that they built the savacentre, the link road actually ended there and further up past the savacentre( or the continuing of the link road, there was a chalkpit where we used to ride our claude butler fixed wheel bikes, it wasnt until later that the rest of the link road was built when the had made the next link of the motorway, after this link was made, they added the rest, Farthing corner, etc.. thats the best my memory sserves at this time of night, i will post some more when my eyes are open wider, i have some pics of this area but they may be on an old cine film which is in the loft if i can work out how to transfer i will envetually put it up.i have some of bredhurst as well. I also remember some small "shutter-front" shops just behind where the rows of Sainsburys check-outs are now. They were only very small areas with no entrances as such, you just walked into this area and at night shutters were pulled down to make them secure. i do remember Dixons having such a shop and oggling the latest digital watches as a teenager! others there too. I guess they removed them to make more space for their tills. Wasn't one of them owned by WH Smiths? They used to sell that old favourite "Protect and Survive" there. Argos and the next door sports shop started out as Forbouys, then became NSS and John Menzies (or it could have been in a different order) with a first floor area as well. Wasn't Fads where the opening to go to Marks and Spencer is now? The pub there which opened late December 1980 ( I think - in similar weather to this) was originally to be called "The Snooty Fox" after threat of legal action by a Restauranteur ( Conran?) with a place the same name it was changed to "Hungry Fox". In all the panic the brewery forgot to apply for a licence and it was opened on a succession of occasional licences from all the local Whitbread managed houses in Medway. The other design failure was the building of a childrens play room with its own soft drinks bar at the end of the main bar. The magistrates went mad on their tour as seemingly the law referred not only to the purchase of alcohol by minors but them "having sight" of it being done. Another day wasted removing all the draught soft drinks kit so it could be boarded in. I'd forgotten about that! I seem to remember that one of them was a tobacco kiosk but some others there too. I guess they removed them to make more space for their tills. 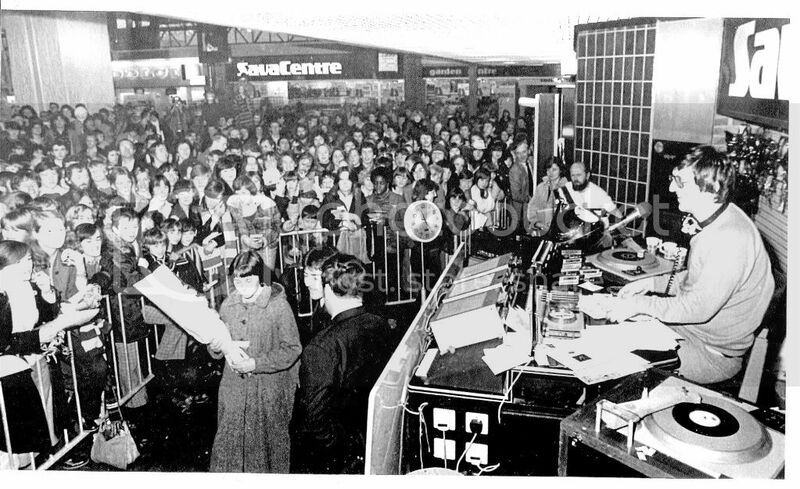 I do remember when Hempstead Valley Shopping Centre opened in the late seventies there was this weird scheme in the Savacentre supermarket where you had to check any shopping bags in. You were given a raffle ticket then, when when you had finished your shopping you returned to the bag check with your ticket to get your shopping bags back again. I guess it was an attempt to cut down on shoplifting. Seems weird to think that Sainsburys once had competition there with the likes of Presto/Sainsburys. Wonder why they left, can anyone remember when it was? Woops - sorry. Have just consulted daughter again, who says she doesn't know. She was on management staff from 1984 to about 2 years ago and the firm changed hands at least 3 times while she worked there. It was owned by Terence Conran when she started, then was taken over by an American company, now owned by Philip Green.That's her excuse for not knowing, what excuse can I think of? I can say for certain that BHS was never associated with Sainsbury's.